Compost is a living thing filled with organisms and microbiotic bacteria that require aeration, moisture and food. Learning how to store compost is easy to do and can increase in nutrients if stored on the ground. If you are making your own compost at such high levels that you cannot use it right away, you can also store it in a compost bin. You will need to control the moisture levels during compost storage, as it may become moldy when soggy, but it should not dry out completely either. Any good gardener plans ahead. This may mean that your compost for the following year is finished before it is time to lay it. That means keeping compost in a condition where it is still moist and nutrient rich for the next season. One of the easiest methods of compost storage is on the ground covered with a tarp or plastic sheeting. This will prevent excess moisture from rain and snow runoff but allow a bit of humidity to seep in and keep the pile damp. 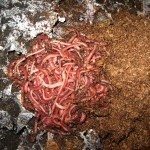 An added benefit will be the worms that can get into the pile and leave their rich castings behind. One of the main considerations in how to store finished compost is space. Compost storage on the ground is an eyesore and requires garden space, which many home growers are short of. You can use your compost bin and keep the compost lightly moist and turned, but many of us have a constant batch of compost going and the bin is needed for the next generation of rich soil amendment. In this case, you can store the compost in plastic bags or get a couple of cheap garbage cans and store it in these. For the best results, check the compost for moisture levels and stir it up to bring the damp bottom layer into the top drier layer. Use a garden fork to turn the batch. If the compost is evenly dry, mist it lightly and stir it. One of the easiest fertilizers to use for an organic gardener is compost tea. 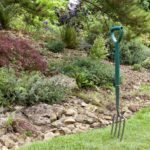 It not only adds fertility to the soil but can help prevent some pests and insects. Compost tea can be stored for up to four to six days in a sealed, light proof container. If you need to store it longer, you will have to provide aeration with a bubbler stone or aquarium pump. Keeping compost tea for future use will ensure a supply of lively beneficial bacteria and organisms to improve the health of your plants. Compost should ideally be used as soon as possible. The longer it is stored the better chance it has of losing nutrients. Compost can be stored for the following season, but it should be used by then. 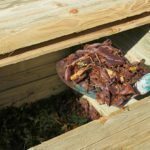 You can also add more “food” to the pile if you are going to store it longer or mix it with an almost finished batch of compost. This will add more organisms and keep the compost viable.